San Diego County’s child abuse incident rate is higher than the national average. Approximately 10,000 cases of child abuse are substantiated in San Diego County each year out of the nearly 40,000 calls of suspected abuse to the San Diego Child Abuse Hotline. After years of sweeping accusations of child abuse under the rug, the current social sentiment is to listen to the statements of every child, every concerned parent, and every professional and immediately prosecute the accused. Child abuse charges can be filed based on a variety of situations, factual or otherwise. It is not unusual for accusations of child abuse to be levied based on misunderstandings, lies, or coerced statements. Unfortunately, this means that you may find yourself in court facing charges for a child abuse crime you did not commit related to a situation that didn’t happen at all. There are people who have been accused of various types of child abuse who never even made contact with the child. Unfortunately, family disputes, custody battles and bitter divorces sometimes result in false accusations of child abuse. The serious nature of child abuse charges can have a dramatic impact on your life and reputation. If you have been accused of or arrested for a child abuse crime, talk to an experienced San Diego child abuse attorney immediately. Without proper legal representation, you could find yourself paying the price for something you had nothing to do with. How Can a Child Abuse Defense Attorney Help? Child abuse cases can be complicated. However, it is possible to find holes in a case or determine that statements were coerced out of children. A qualified child abuse defense lawyer can weed out the facts, determine your alternatives, and expertly defend you against the charges. 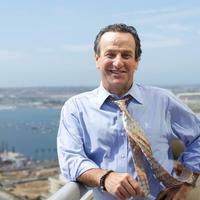 For a free consultation on your case, call San Diego Criminal Defense Attorney Michael Berg at (619) 239-2186 today.